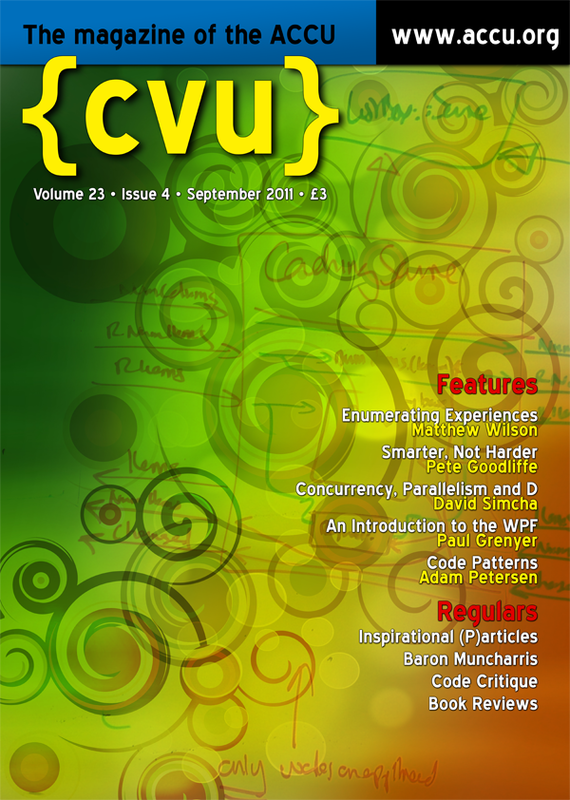 The September issue of ACCU's C Vu magazine is out now. It contains the latest instalment in my Becoming a Better Programmer column. This one's called Smarter, Not Harder. In it I investigate how high-quality developers use their skill and experience to be maximally productive. I describe useful tactics to help you solve problems more easily and get the job done in the most effective way. In short: how to pick your battles.